We’d love your help. Let us know what’s wrong with this preview of Communities and Conservation by J. Peter Brosius. To ask other readers questions about Communities and Conservation, please sign up. A good collection of case studies that reflect the pros and cons of Community Based Natural Resource Management. A good introduction for those who seek to understand what is useful in terms of socio-political and economic issues inside a community, in order a conservation project could work. Those who searching broad variety of knowledge on how local people manage their own resources, will find many good and interesting ideas in this book. 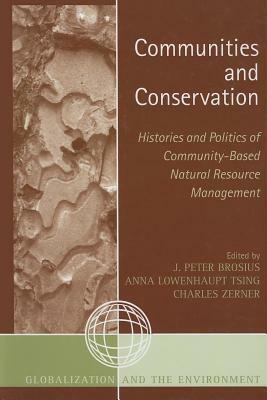 It is quite inspiring book for those dealing with natural resources management sciences.